In addition to providing health and wellness guidance, a great personal trainer can also motivate and support you as you pursue your fitness goals. Mile High Fitness & Wellness in Denver, CO, offers a variety of personal trainers who can address different needs. Their innovative approach to health and wellness will help you make lasting changes for a healthier life. Check Out Their Certifications: First things first — you want to ensure your personal trainer has the appropriate credentials to help you. Certified personal trainers have the physical and nutritional know-how needed to help you achieve your goals. The trainers at Mile High Fitness & Wellness are certified and experienced professionals. Assess Your Fitness Needs: Do you want to lose weight or build up muscle mass? Or maybe you’re training for a marathon? 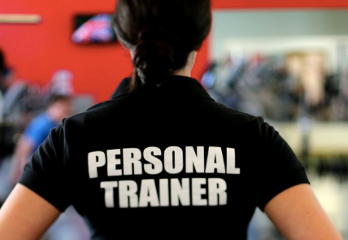 Whatever your fitness needs may be, the right personal trainer can help. Talk to trainers about their areas of expertise before choosing one. Don’t Forget Nutrition: Exercise is just part of the package when it comes to health and wellness. A great personal trainer will also help you improve your diet with nutrition counseling and guidance. The trainers at Mile High Fitness & Wellness offer the full package, paying attention to how you move your body — and to what you put into it. Consider Convenience: It can be difficult to drag yourself to the gym after a day of work. That’s why many personal trainers can come to your home. By making a workout less burdensome, you’re more likely to stick with your fitness training program. Mile High Fitness & Wellness not only has trainers who can come to your home, but they also have fantastic corporate wellness programs for your convenience. Go With Your Gut Feeling: Ultimately, your personal trainer should inspire and motivate you. Meeting potential personal trainers face-to-face and seeing how you feel with their coaching style is essential. In the end, the person who makes you feel great about working out is the one you should go for. If you’re searching for a personal trainer in the Denver area, look to Mile High Fitness & Wellness. Visit their website or call (720) 436-3899 to find out more about their services. 1 Response to "5 Tips for Choosing a Personal Trainer From Denver’s Health & Wellness Experts"
Many thanks for this post. I like your blog very much and i am a huge fan of it. This is my first time posting here. I like this so much that I even shared on Twit. Thanks again for the beautiful contribution.